It is important for human rights investigators to understand battle tactics and strategy and in this case those of Navy Expeditionary Combat Command (NECC). The plan below from the NECC (October 2010) helps understand the tactics and strategy informing the US forces battle plans for expeditionary warfare. The light blue arrow marked SEABASE has CSG / MPS (F) underneath – These stand for Carrier Strike Group and Maritime Prepositioning Force. It is an important tenet of modern expeditionary warfare that seabasing is actually preferred to land basing – a lot of the hullabaloo about “boots on the ground” is pretty irrelevant to this kind of warfare, which aims to minimise the footprint of coalition forces. 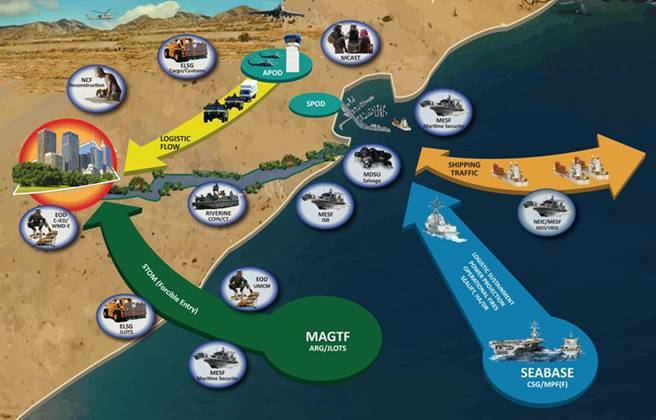 The arrow shows how force is projected from the SEABASE, including logistics sustainment, power projection and sealift. The green arrrow marked MAGTF refers to Marine Air Ground Task Force. ARG means Amphibious Ready Group. LOTS refers to Logistics Over the Shore. STOM is a Ship to Objective manoevre. Forcible Entry should be self-explanatory. 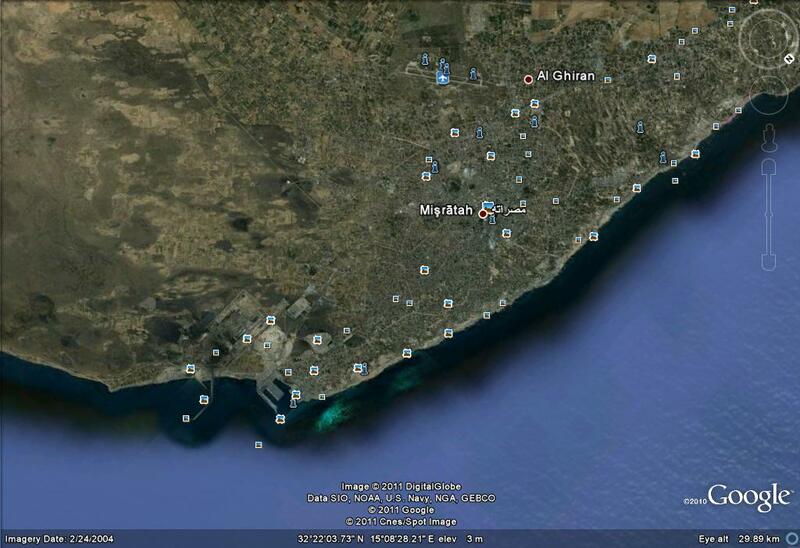 The tan arrow refers to shipping traffic into a port, as was obviously the case with Misrata, with ships delivering humanitarian aid, evacuating people and bringing in fighters, journalists, weapons and ammunition. 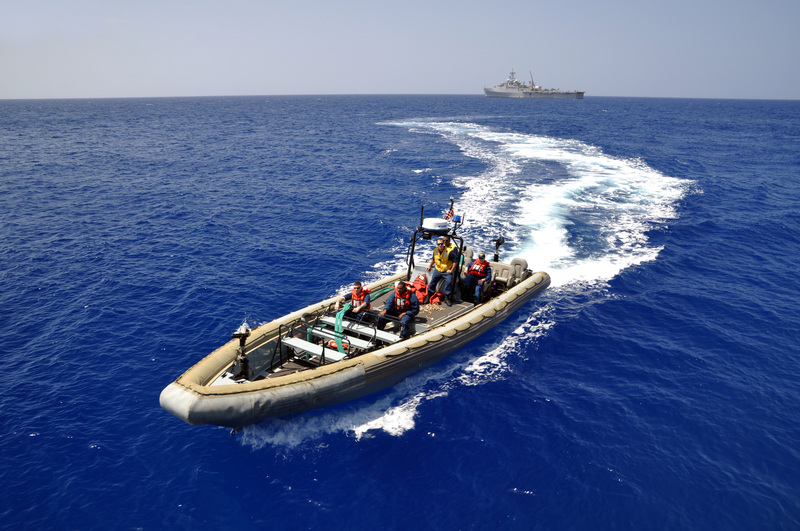 MESF – Maritime Expeditionary Security Force. This includes the MSRONs (Marine Expeditionary Squadrons aka as “Rons”) who use CB-90s. SPOD Seaport of debarkation and APOD – Aerial Port of Debarkation. The context of this plan includes the development of SFA-capable forces. SFA is unified action to generate, employ and sustain local, host nation or regional forces in support of a legitimate authority. The main ships from the United States Navy – ie “supporting Operation Unified Protector, off the coast of Libya” on the 14th and 15th April were attached to the Kearsarge Amphibious Group – Kearsarge (LHD-3) itself was in port in Augusta Bay, Sicily during the nights on which cluster munitions were used in Misrata. The first ship is the USS Barry (DG-52) which is a destroyer and probably the destroyer spotted by CJ Chivers off the coast of Misrata. Interestingly, the commanding Officer of USS Barry used to be Admiral James G Stavridis, the Admiral who is particularly keen on information wars and controlling the internet. The second ship of interest is the USS Ponce (LPD-15), an Austin-class amphibious transport dock. An amphibious transport dock is a warship that embarks, transports and lands elements of a landing force for expeditionary warfare missions. This ship had something of the order of 851 enlisted servicemen and 72 officers on board. 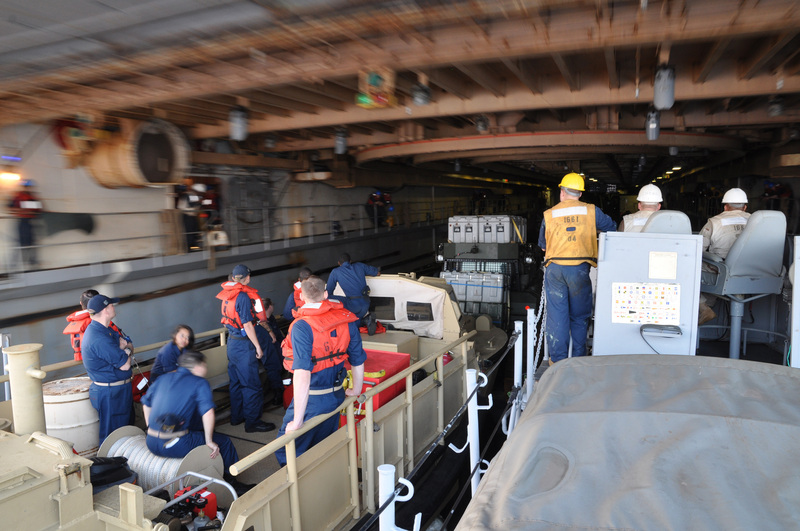 Below we can see a landing craft docking in the well of the USS Ponce. This vessel could perhaps provide a platform for the use of indirect fire, including 120mm mortar fire. Interestingly, shortly after the Misrata operation, both the skipper and executive officer of USS Ponce, Commander Etta Jones and Lt. Cmdr. Kurt Boenisch, were relieved of their commands. The third ship, of interest, is the USS Carter Hall (LSD-50) which is a dock landing ship and travelled through the Suez canal to join the others on April 13th, the day before the cluster bombing of Misrata. A dock landing ship is a form of amphibious warship designed to support amphibious operations. These amphibious assault ships transport and launch amphibious craft and vehicles with their crews and embarked personnel. usually these forces would be marines and/or special forces. Embarked on these ships were units, including the 26th Marine Expeditionary Unit (Special Operations Capable) (26MEU) and Naval Beach Group Two (NBG2), TACRON 21, Assault Craft Unit Four (ACU-4) and Helicopter Sea Combat Squadron TWO TWO (HSC-22). 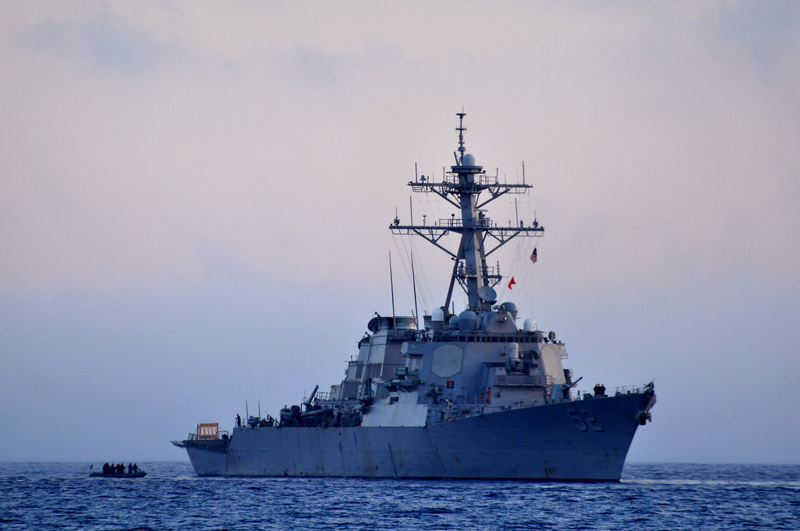 The commander of the task force was Captain Dan Shaffer – who doubled up as Commander Task Force 65 (CTF-65) and Commander Destroyer Squadron 60 (DESRON60). Kearsarge ARG was relieved on 27 April by Bataan ARG. The Bataan ARG includes PHIBRON-6, with detachments from Naval Beach Group Two (CNBG) 2, Tactical Air Control Squadron (TACRON) 21, Fleet Surgical Team Six (FST) 8, Helicopter Squadron Twenty Two (HSC) 28, Beach Master Unit (BMU) 2, Assault Craft Unit (ACU) 2 and ACU-4. ARG ships include the Norfolk-based Bataan, the amphibious transport dock ship USS Mesa Verde (LPD 19), and the dock landing ship USS Whidbey Island (LSD 41). The 22nd Marine Expeditionary Unit is a Marine Air Ground Task Force (MAGTF) comprised of the Command Element, Ground Combat Element, Battalion Landing Team, 2nd Battalion, 2nd Marine Regiment; Aviation Combat Element, Marine Medium Tiltrotor Squadron 263 (Reinforced); Logistics Combat Element, and Combat Logistics Battalion 22. Overall commander is Admiral Stavridis. Abdel Hakim Belhaj to receive UK government settlement – what about the Tawergha? Is Cameron’s intervention in Syria legal?